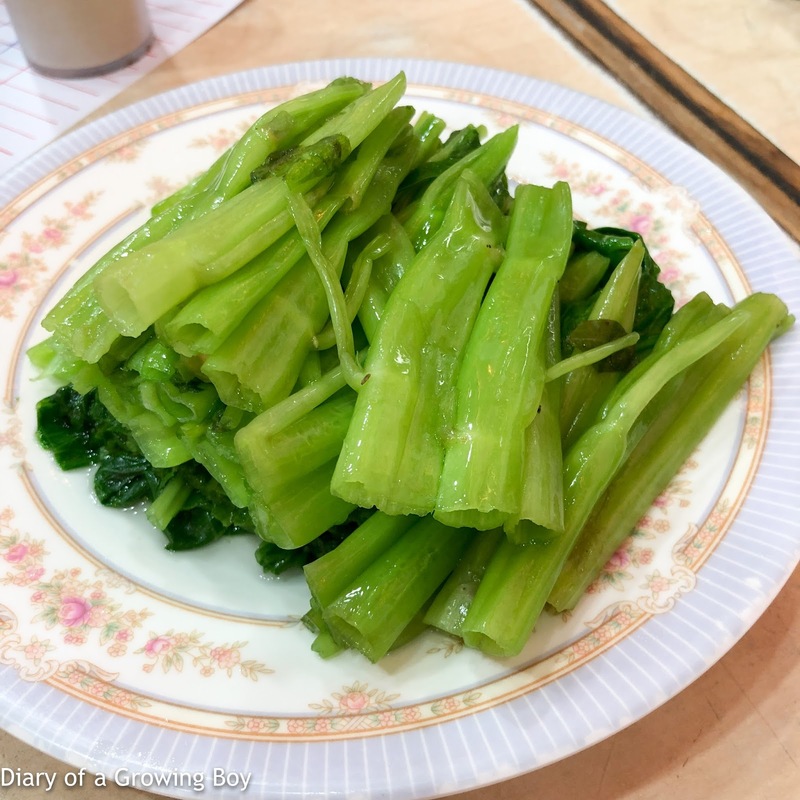 It's been quite a while since I last stepped foot in Yat Lok (一樂燒鵝), my favorite place for Cantonese roast goose, so I figured I could drop in for a lunch. 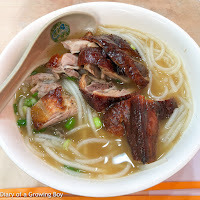 Rice flour noodles in soup with roast goose (馳名脆皮燒鵝瀨粉) - I've really missed this. I love the thick rice flour noodles, even if they do tend to flail around when I pick them up and often splatter soup on my clothes. The skin of the goose is always very flavorful, with enough seasoning and fragrant 5-spice. It's also crispy enough while the layer of fat underneath provides a good deal of satisfaction. Normally I'd order this with the drumstick, but as prices have skyrocketed over the years, now I am happy with just the other parts of the goose - at around a 40% discount to the drumstick. Blanched morning glory (通菜) - asked for it plain, without the fermented tofu sauce (腐乳) usually accompanying it here.